With so much information about retirement out there, it's easy for some incorrect information to slip through the cracks. Check out some of the biggest myths when it comes to your retirement planning. When you’re a 22 year old college graduate just getting started in the work force, thinking about retirement can be difficult. It’s just so far away and there are things you could be spending your money on now. However, even delaying your savings by a few years can result in the loss of thousands of dollars. You may be planning on working part-time after retirement to help supplement your retirement income. However, this may not be an option. Over half of all early retirements can be attributed to injury or illness. There's also the chance that you may unexpectedly lose your job, whether due to downsizing, the economy, or the job itself is obsolete, forcing you into early retirement. 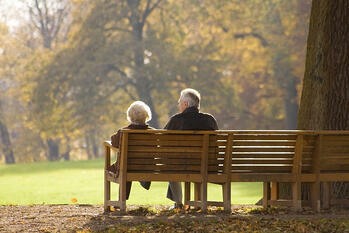 It's estimated that you will need about 70 to 80 percent of your annual income during your retirement years. While many costs could potentially disappear, such as commuting gas money, mortgage, etc. there's usually a new expense right around the corner. You may have higher medical costs as you age, your home may need more repairs, and you'll have a lot more spare time on your hands that you need to fill. Taking money out of retirement accounts, such as a traditional IRA or 401(k), can actually push you into a higher tax bracket. Converting to a Roth IRA is a good way to prevent this from becoming an issue. You may also qualify for less deductions at this point in your life. There's also the unpredictability of what taxes will actually be. So what you're paying today, may not be what you paying in the future, so plan ahead for this. Life expectancies in the United States are at a record high, with the average person living until they are 78 years old. So if you retire at 62, that’s 16 years that you will need to provide for yourself.